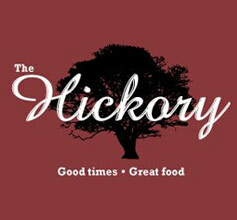 The Hickory: Chicken Fried Steak, Flatrock Pizza, & Sirloin Steak! The Hickory is at it again! Check out their awesome deals today! Get 25% off their golden & crispy chicken fried steak! A huge tender cut of steak breaded and seasoned to perfection and fried to a glorious golden brown, smothered in copious amounts of signature country gravy. Served with two house sides of your choice! Get a 12″ pizza for the price of a 10″ pizza at Flatrock Pizza! Come in and build your own personalized pizza with unlimited toppings, slow smoked meats, six different sauces, and hundreds of different combinations. Save over $3 per pizza! Lastly, buy one, get one FREE 6 oz. sirloin steak! Cooked to your liking and seared with a signature blend of herbs and spices. Served with two house sides of your choice. Save over $10! *Offers valid 2/12.